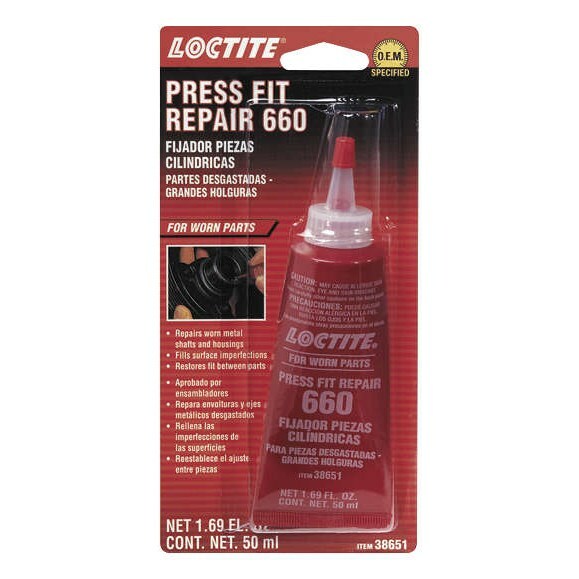 Loctite 660™ Quick Metal® Retaining Compound, Press Fit Repair is a creamy, non-running adhesive/sealant. Repairs and restores worn machine parts to ensure the correct fit to mating assemblies. Fills gaps up to 0.020 in. diameter clearance. Typical uses include refitting worn shafts, housings, keyways, loose set screws, couplings, shims and other severely worn parts.